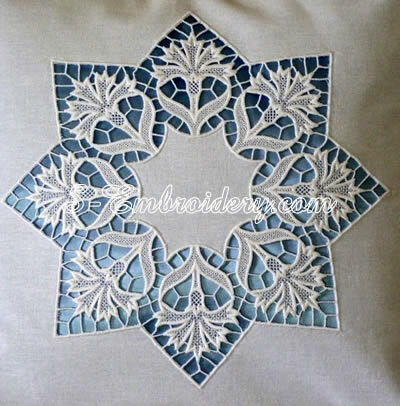 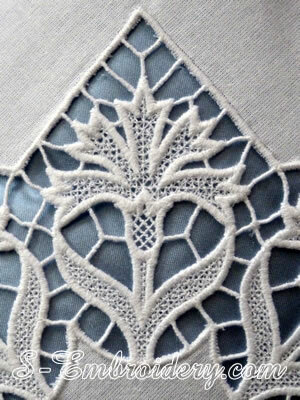 The cornflower free standing lace machine embroidery can be used for decorating table cloth, pillow cases, etc. 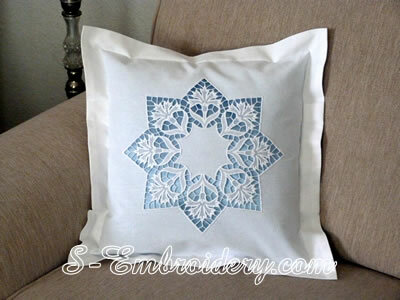 It could also be used independently to produce a small doily. 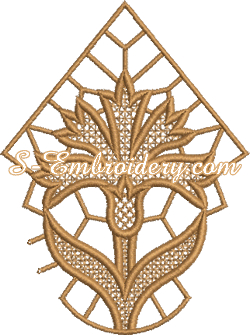 You receive 1 machine embroidery file and 2 PDF files with design information and instructions.